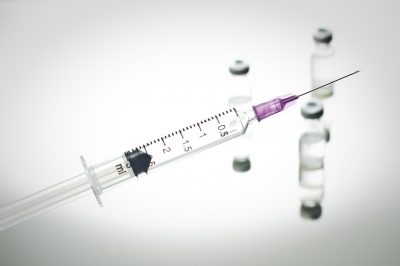 “A new push is underway to eliminate unsafe injection practices, which remain a persistent safety problem despite years of efforts to educate clinicians about the risks of re-using needles, syringes and drug vials. As a registered nurse this is unthinkable. Learning to administer injections safely is “patient care 101.” There is no excuse for any health care professional to unsafely inject patients. Patients in the hospital, ambulatory surgical centers or outpatient settings, should expect that their nurses, doctors and other clinicians are administering injections safely. Patients are encouraged to ask their health care professionals if they washed their hands; now patients need to be mindful that it is possible that their health care clinician may not be following safe injection protocol. Patients need become an active participant in their health care and they need to ask about safe injection practices. “Of particular concern are ambulatory surgical centers; a CDC study of about 70 centers in three states, published in the Journal of the American Medical Association last year, found that lapses in infection control were common, including those related to injection safety,” writes Landro. What are safe injection practices? “Patients need to be aware that unsafe injection practices can be a serious threat to their health. Healthcare providers (doctors, nurses, and anyone providing injections) should never reuse a needle or syringe either from one patient to another or to withdraw medicine from a shared vial. Both needle and syringe must be discarded once they have been used. It is not safe to change the needle and reuse the syringe – this practice can transmit disease. I would love to hear from patient advocates like @TrishaTorrey, @ePatientDave, @DCPatient, @JackieFox12, @gfry and @ReginaHolliday to find out what advice they have for patients to help protect them from infections due to the unsafe administration of an injection by health care professionals. We would love to hear from you and as always thank you for your time. What are your feelings about the possibility of acquiring an infection from an injection that was administered unsafely? How will you protect yourself? Always love rising to a challenge Barbara! You’re right. Reusing syringes and needles is abhorrent. Despite my distrust of so much that goes on in American healthcare, it never occurred to me that any medical professional would take such a chance with a patient’s life…. whether or not they would choose to do so on purpose. I am actually shocked at hearing that these figures. I think following safe injection practices have more to do with how well trained the health care professional is. I think educating the health care professionals about the consequences of their errors is also equally important as patient education. Thanks Barbara. Thank you for your article. It is very similar advice to a book I recently read, ‘Life in the Deadly World of Medicine’ written by Joseph T McFadden, which stresses the importance of advocating for oneself and loved ones while faced with any medical issue. That book was a real eye-opener.